There are many areas like this in the city, but Aristotle Square is by far the most well known. Visit here to gaze at the beautiful buildings, visit the park, or sit in one of the cafes or restaurants. You can easily spend the whole day here exploring. When people think about what they love about Thessaloniki, the beach promenade comes to mind. This is considered one of the most popular parts of the city. When visiting, you can walk along the water and the beach, enjoy some beachside shopping, and visit a restaurant or cafe. This the area of the city that definitely attracts the history lovers. Old Town is where most of the old, historical buildings are located – but it is so much more than that. Although it used to be known as the Ottoman Quarter, the area is filled with historical buildings, cafes, and shops to explore. 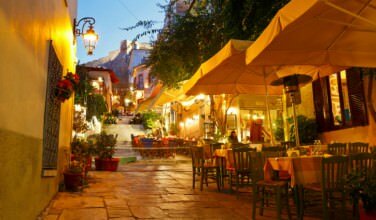 If you are looking for a great place to enjoy the nightlife, you won’t want to miss the chance to visit Ladadiki. There was a time when this area had a bad reputation, but that’s all in the past. Now, you can visit bars, nightclubs, and other restaurants. There’s something here for everyone! 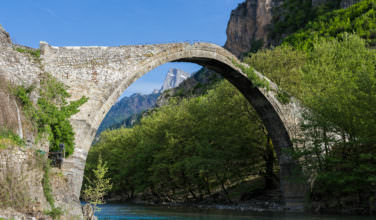 Egnatia Quarter is the place to visit if you want to gaze at some historical churches. It also has some ties to history because the Roman Agora and Arch of Galerius is here. Be sure to visit the church of Panagouda, which is also in this area. Navarino Square is considered to be at the center of Thessaloniki. Because of this, it often serves as a meeting spot for locals. This is also a great spot to find a nice cafe or to even eat some crepes. Although this isn’t traditionally Greek, some of the shop owners have given some of their crepes a Greek flavor. You’ll also want to visit the Byzantine church, which is modeled after the historical Agia Sofia which is located in present-day Istanbul. If you want to visit a place that is packed with locals, you’ll want to head to the Rotonda neighborhood. Here, locals convene to eat in a restaurant or to lounge in a cafe. This area is also near the Egnatia Quarter, which has the Arch of Galerius and Roman Agora, two important historical sites in the city. Xan Square has a bit of a reputation of attracting the young people of the city. 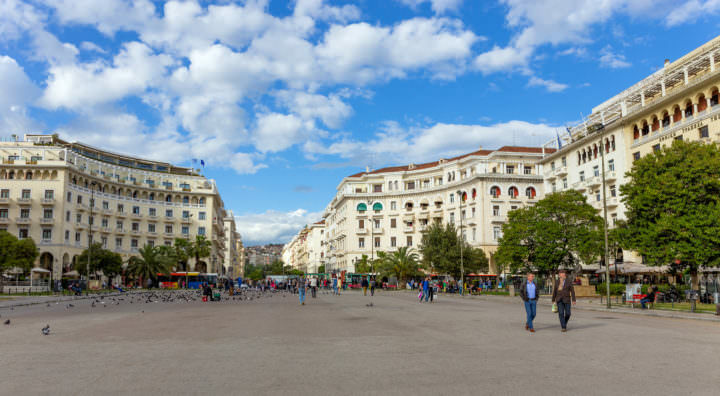 In fact, the square is named after the Youth of Thessaloniki, which in Greek is abbreviated to Xan. The Christian Brotherhood is also based here. The Archaeological Museum and Royal Theater are also here. 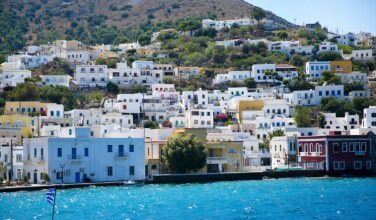 You won’t want to miss the chance to visit these places while on Santorini!